Spinal stenosis lower back pain is less common than most sufferers might think, although it can definitely exist in some patients to one degree or another. Spinal stenosis can be a difficult condition to characterize, since many cases of central canal stenosis do not cause pain anywhere, while others might. Further complicating the problem here is that definitively symptomatic stenosis may still not be painful, instead eliciting only numbness, weakness or other neurological issues in the areas influenced by the narrowed canal condition. In other cases, pain may be mild, moderate or even extreme, but these symptoms are not inherent to any central canal narrowing concern. This essay details the expression of lower back pain due to some variety of stenosis in the spine. Central stenosis can cause lower back pain in some patients. This is true even when the canal stenosis does not exist in the lumbar region. I know it sounds weird, but some patients with cervical spinal stenosis, and less common thoracic stenosis, might have lower back pain. 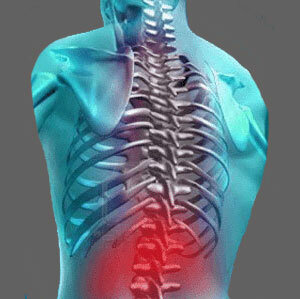 Of course, patients with lumbar spinal stenosis also may have pain in the affected area. As mentioned above, even stenotic narrowing which is proven to be symptomatic in nerve testing may elicit drastic symptoms which do not include pain. Many patients can lose the ability to stand or walk, or may even lose control of their bladder or bowels, without experiencing significant, or any, pain at all. Diagnosing lower back pain which is deemed to be caused by stenosis gets even tougher for doctors. Many mild to moderate stenosis conditions usually do not produce symptoms, but meanwhile, the patient has chronic discomfort in the lumbar region. In many patients, the stenosis will be mistakenly blamed for the expression and treatment will begin. In non-causative cases where symptoms are coincidental to the stenosis, treatment will almost always fail badly, leading to the poor statistical results we see in much of the dorsopathy sector of care. Remember, stenosis is just one of many scapegoats which can be blamed for creating pain, when it is really innocent of sourcing the suffering. These patients will often demonstrate another yet undiscovered physical cause for their pain or might be suffering from a nonstructural pain syndrome, such as regional oxygen deprivation, although the chances of these conditions being found is not good until after multiple spinal stenosis treatments have already failed. Personally, we have met several patients who demonstrate mild lumbar and severe cervical canal narrowing with lower back pain, but no neck pain. Almost all were originally imaged in the lumbar spine and diagnosed with lower back stenotic change. Only a minority received diagnostic evaluation in the cervical spine immediately and were therefore correctly diagnosed from the start. Most had symptoms blamed on the lumbar issues, while all along, these lower back structural changes were mild and not symptomatic. Some took years to have their more serious cervical stenosis located and positively diagnosed. When the cervical stenosis was eventually successfully treated, the low back issues disappeared. It is crucial to remember that diagnosing spinal stenosis is never a perfect science, Sure, it is easy to see the telltale physical signs of it, but that is where the simplicity ends. Non-symptom producing stenosis conditions are often blamed unfairly for pain. Meanwhile, alternate locations of truly symptomatic stenosis are often not found immediately or not at all. Add to this the high incidence of idiopathic lower back pain which may be psychosomatic, or caused through some other nonstructural disorder, and you have a truly nightmarish diagnostic crisis for patients and doctors alike. No wonder so many stenosis patients never recover. 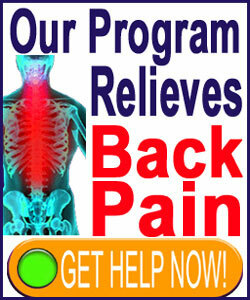 You can learn everything about lower back pain from our focused web resource Low-Back-Pain.Org.